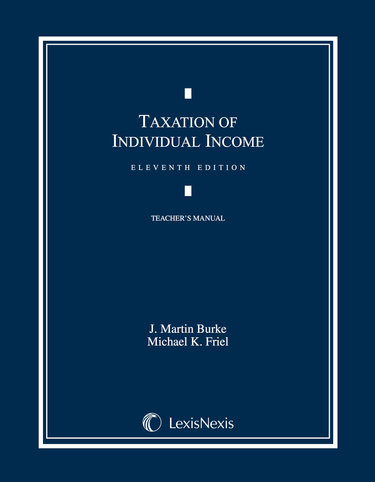 Taxation of Individual Income is a leading casebook that employs a unique problem method, which many past students have found to be highly effective, stimulating, challenging and enjoyable. Students are provided material that allow them to arrive at their own conclusions about income tax concepts, rather than the text merely setting out such concepts for them. Each chapter begins with a set of problems with learning objectives and a list of relevant terms without definitions. These features are then followed by a detailed overview, relevant cases, administrative rulings, and legislative history. After reading the materials, students return to the beginning of the chapter to address the problems and define the vocabulary terms.